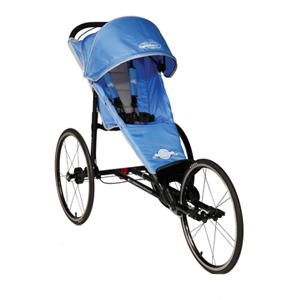 The runners choice of prams that is ready for even the roughest off road. Under seat storage basket. Careful you don’t lose anything from buggy-bounce. The runners choice of prams that is ready for even the roughest off road you are willing to introduce your babies to. The shock absorbers and huge 20 inch wheels make this a very different type of pram than the regular strollers. Perhaps not the choice for the likes of Angelina and Brad, but more likely to be of use to Elana Meyer when she is out cruising with her youngster. Best for running, especially off road.